I wrote before about Andre Williams here. He was one of the last of the old time rock-n-rollers/R&B giants. He just passed away at 82. If you happen to like old school R&B/jump blues/rock-n-roll and don't mind an occasional little lyrical smuttiness/nastiness in music then you might want to give his music a listen. As people have pointed out the Good Lord wouldn't have given you a tail feather in the first place if He didn't want you to shake it from time to time. RIP to a Detroit musical giant and one of the dirtiest old men who ever walked the planet. Andre Williams, who carved out a place in the 1950s rhythm-and-blues scene with earthy songs distinctively delivered, then fell on hard times as a result of addiction before enjoying a late-career resurgence, died on Sunday in Chicago. He was 82. His son Derrick Williams said the cause was cancer. Gonna get me a girl about 42. Mr. Williams’s best-known song was probably “Shake a Tail Feather,” written with Otha Hayes and Verlie Rice, which was first recorded in 1963 by the Five Du-Tones (a version heard in the 1988 John Waters movie “Hairspray”) and also turned up in the 1980 film “The Blues Brothers” performed by Ray Charles. 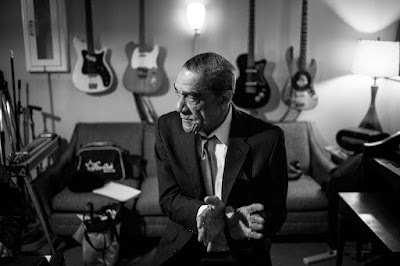 Zephire Andre Williams was born on Nov. 1, 1936, in Bessemer, Ala., to Tom and Fannie Williams. The family went north to Chicago when he was a child, but when his mother died in 1943 he returned to the South to live with relatives. 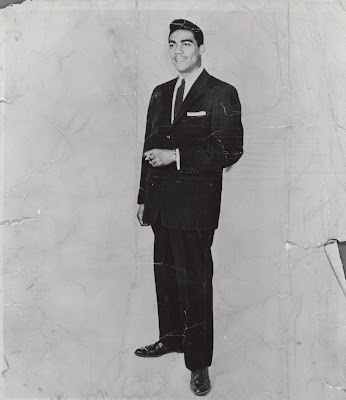 As a teenager Andre returned to his father in Chicago and used fake identification to enlist in the Navy, which discharged him when it discovered he was underage. He began singing with various groups and eventually signed with Fortune Records in Detroit. Mr. Williams was as energetic onstage in his 70s as he had been in his youth, and he was quick to offer up tales from his fast-lane life. The Mueller Report: Now What?